The labbits have been having trouble with the laptop and camera lately, so they've been playing around with the camera on the iPhone (what? 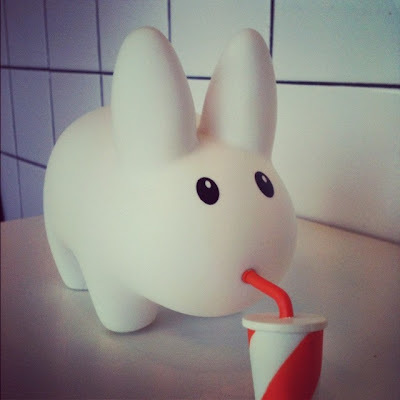 Labbits make calls...) and using instagram. It's quite handy, especially for Masher McBuns, who often posts things seen on his bike rides, without having to haul around a camera (it adds too much weight to the bike!). Here's a little instagram roundup of the silliness that's been going on. 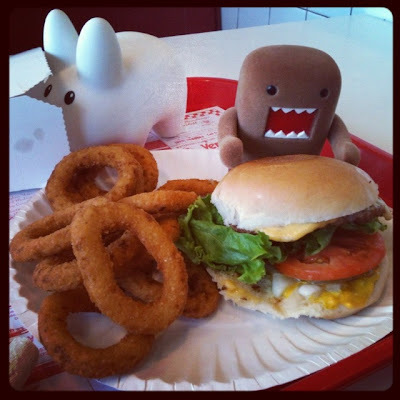 Above, Domo took Pipkin out to lunch at Al's French Frys for Pipkin's birthday (he's 2!!). Pipkin likes the fries, but mostly he's fond of shakes. Vanilla shakes are the best! 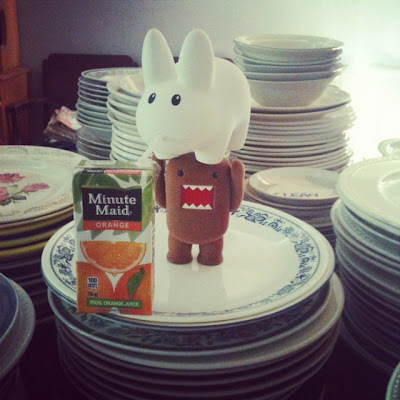 Domo and Pipkin went to a party (not Pipkin's birthday party - that's later) where they didn't have labbit sized drinks but at least the straws were labbit sized. Domo gave Pip a lift to help him imbibe. Mmmmm, orange juice. 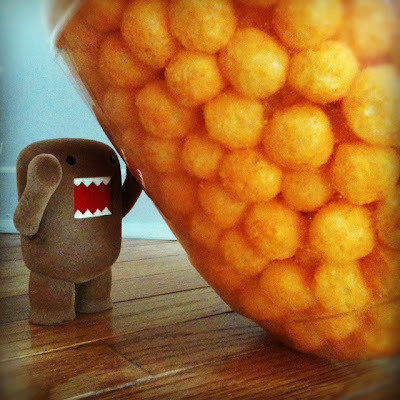 Domo believes no party is complete without cheezee puffs, but Pipkin's not too fond of them. 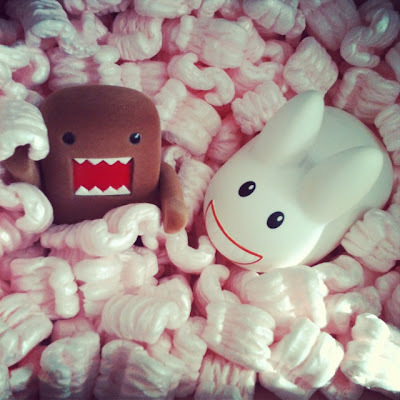 More for Domo! These packing peanuts are made out of corn, so Pipkin doesn't get why they're called peanuts. They don't even look peanut shaped. Anyway, they don't taste very good, but they're fun to play in!